"I hope all children in mountainous areas can have a bright and beautiful future!" Mr. Tian Ming, the Chairman of Landsea Green Group, sent his best wishes to the lovely children in a remote mountainous area in Wangcang County, Sichuan. On July 3, a commemorative activity was held at Landsea Wuquan Hope Primary School to mark the 10th anniversary of its reconstruction. 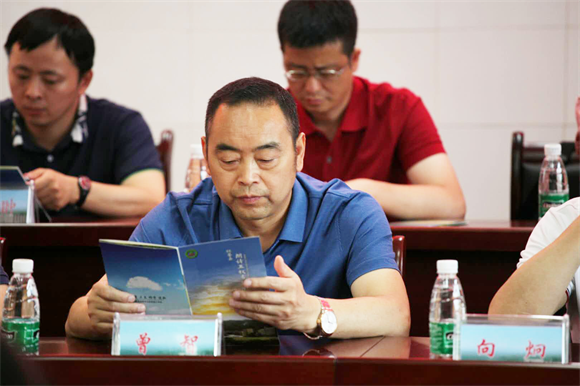 Many guests were invited to this activity, they are, Zhang Guochang, the deputy director of Wangcang NPC; He Chunhui, the vice-chairman of Wangcang CPPCC; Xiang Ronggui, the director of Wangcang Education, Science and Technology Bureau; An Derong, the principal of Landsea Wuquan Hope Primary School; Li Wu, the former principal of the School; Tian Ming, the chairman of Landsea; Xiang Jiong, the president of Landsea; and Xie Yuanjian, the vice-president of Landsea. Representatives of the Eagle team who aided in the construction of the school and some employees of Landsea also attend this ceremony. Though in remote mountains, the beautiful school continues to thrive. The school fell into ruins after the "5.12 Wenchuan earthquake". It was the only primary school in this area with a population of more than 40,000. 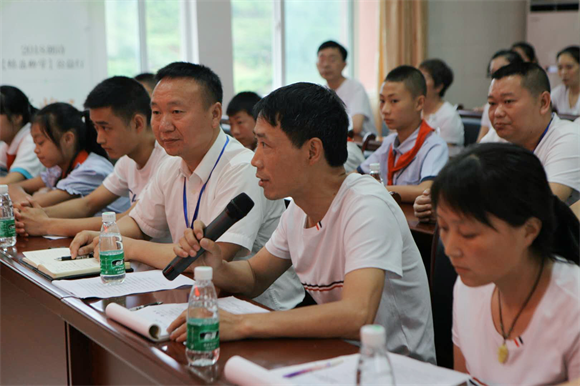 Consequently, under the flying national flag, Landsea promised the teachers and students of Wuquan to build a "quake-proof" school in a time of crisis in 2008. In such severe situation, Landsea sent "the Eagle" to assist them in reconstructing their school. 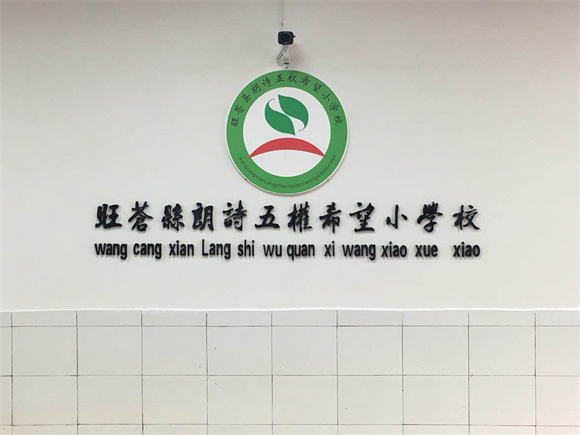 Later, the school was renamed "Landsea Wuquan Hope Primary School of Wangcang County". After the reconstruction, Landsea also promised to provide long-term funds and aid the students. For example, excellent students will be given the opportunity to visit the city where Landsea locates and outstanding teachers can have exchange trains, etc. With the support of the community, we have been keeping our promise in the past ten years: We carried out many projects to assist the school, such as "one-on-one" Help plan, scholarship scheme, teacher training and students exchange. By the end of 2017, we have invested more than RMB 11 million in facilities and totally 630 students benefited from the “one-on-one” Help plan. We also injected RMB 829,000 in student grant and RMB 210,000 to award outstanding teachers. 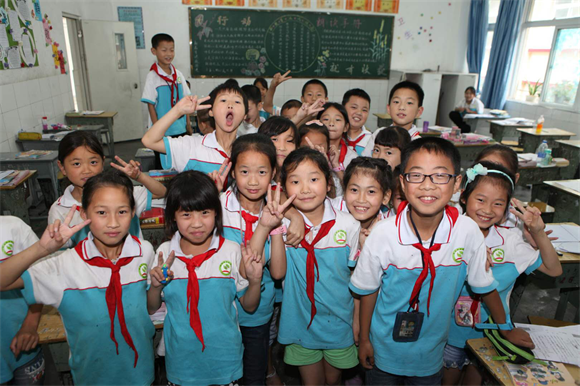 We have organized teachers and students to visit their sister schools in the Yangtze river delta for many times. In only 88 days, the Eagle team finished the first phase project, saving a lot of time. Teaching buildings, library, canteen, dormitory and other facilities needed that can withstand the 8-magnitude earthquake were all in place. It was a warm shelter for the students to avoid the coming winter. 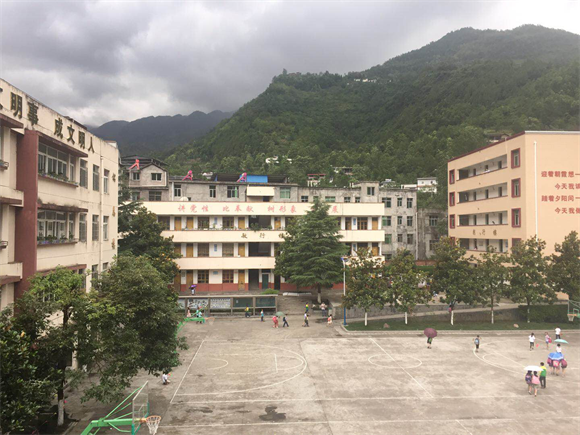 Ten years have past, this school is not only the first school put into use after the earthquake but is also the rural school with the most complete facilities and the best teaching conditions in the city. During the 10th anniversary, leaders and representatives of Landsea visited spacious school buildings, multi-functional classrooms and plastic playground. Seeing the bright smile of the children again, we feel extreme delighted and proud. On the meeting, school leaders introduced the development of the school in the past ten years to the visiting guests. 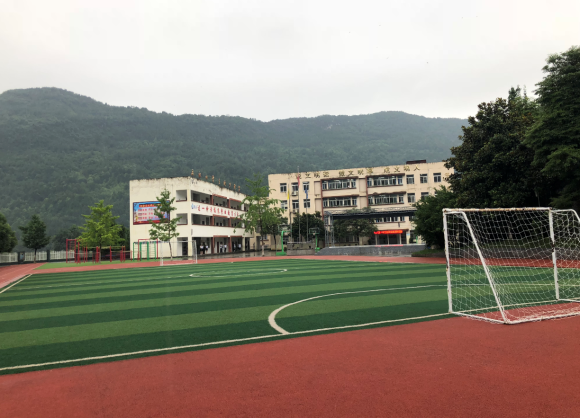 The school was awarded many times by the government, such as "Outstanding Organization" (for four times from 2009 to 2013), "Safe Campus in Guangyuan" (in 2017) and "Outstanding Grassroots Party Organization" (for ten consecutive years). 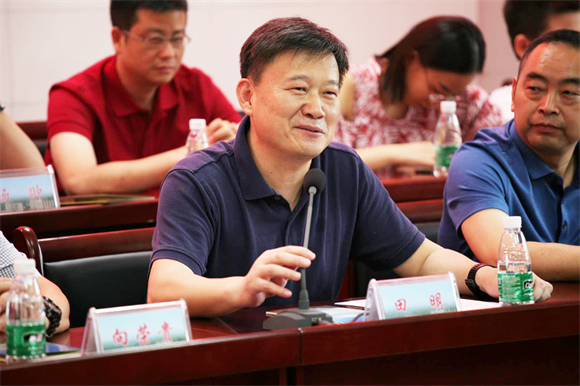 The school has also won the second prize in the Recitation Contest of Chinese Classic in 2018. Members of the Eagle, outstanding students and teachers and guests exchanged their views at this encouraging meeting. 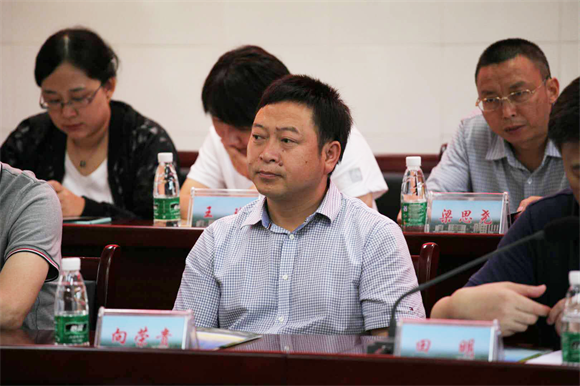 They shared what they see of Wuquan in the past ten years. They believed that the school as well as all the students will sure to have a bright future. Dream will light childrens way. Tall though it is, the mountain cannot shade childrens eyes and hinder their way to chase their dream. Tian Ming said at the completion ceremony of the school that Landsea would always be the protector of this school and childrens dreams. 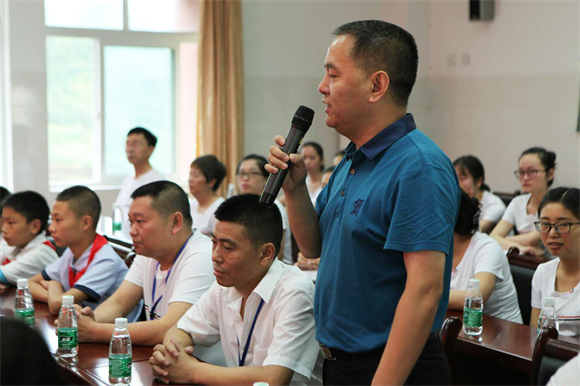 On that day, Landsea and representatives of all parties of the school had in-depth exchanges and discussed the goal and details of future assistance. We promised that we would continue to carry out "one-on-one" help plan and student aid programs for poor students. In order to encourage them to study hard as well as broaden their horizon, we are conducting “Green Seedling Support Scheme for Primary Schools" including student exchange programs and Green Seedling awards bank. We will establish "Green Seedlings Reading Corners" and 200 books will be added every year to satisfy students desire to understand the world beyond the mountains. 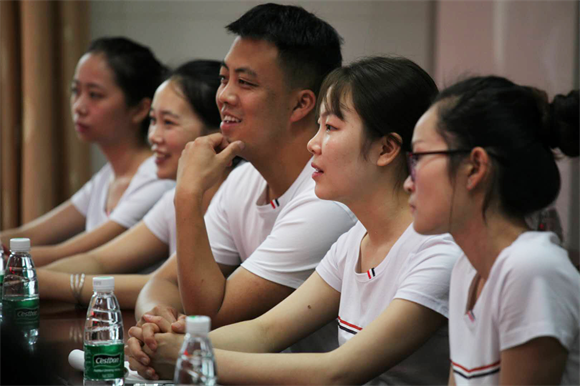 At the same time, more exchanges will be made with the sister schools in Yangtze river delta, training programs will be set up and outstanding teachers will be subsidized. The “Green Seedling Award and Teaching Fund" will also be set up as an incentive for outstanding teachers to make innovations. 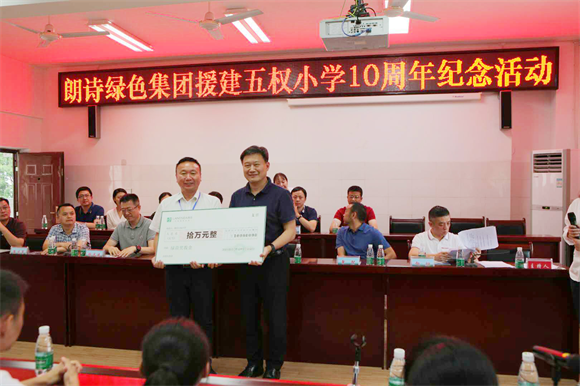 RMB 100,000 award fund has been offered this year. 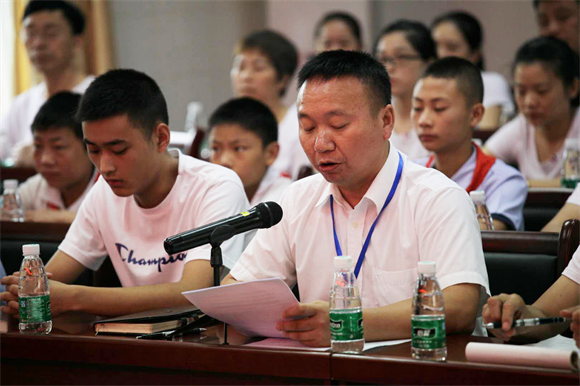 Tian Ming considered that more than half of the children in Wangcang County are left-behind ones. So Landsea Charity Foundation will give them more care in the future. We hope to take various measures to give children in mountains a bright and beautiful future. Children are our future. Protecting their dream is also protecting the dream of enterprises, the country and the whole society. Determined to be an outstanding corporate citizen, we are making efforts to implement our social responsibility as well as creating value for customers, employees, shareholders and other stakeholders. We will make contributions to the industry and also the society.